BD Food Safety is capable of assisting you in formulating a HACCP food safety plan for your food preparation activities. HACCP is the Hazard Analysis of Critical Control Points. HACCP is a systematic approach to prevent hazards from contamination food during the production process. Luckily, BD Food Safety experienced team of food safety professionals to help you come up with a HACCP food safety plan. Our HACCP certification classes go into great detail about creating a HACCP food safety plan that can keep your workspace organized and clean. Our HACCP food safety plans are flexible and can work with you on-site for groups of 7 or more. If you would like to get started on creating an HACCP food safety plan, please call the food safety experts at BD Food Safety today at 815-641-6404. You can also get in contact with one of our knowledgeable experts by simply completing the online request form on this page. 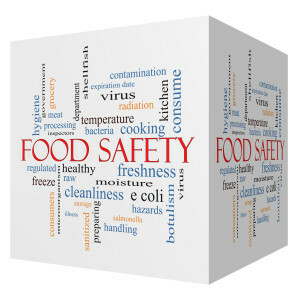 The experts at BD Food Safety are capable of helping you put in place a HACCP food safety plan. A HACCP food safety plan outlines a number of crucial steps that your kitchen must take to avoid food hazards. This HACCP food safety plan outlines each hazard and any control actions that can be taken to prevent potential hazard. A good HACCP food safety plan also states who is responsible for each task and when they need to perform said task. A HACCP food safety plan can include everything from how often to sanitize utensils to how long food can be kept at a certain temperature before pathogens become a threat. BD Food Safety is happy to assist you in the process of HACCP certification training process and creating an effective HACCP food safety plan. We are recognized by the FDA for our certifications and most of our food safety experts have over a decade of experience in the food safety industry. Our HACCP food safety plan and certification services can help keep you safe from a potential audit and help limit contamination in the workplace. For more information on how a HACCP food safety plan is needed in your food preparation process, please call BD Food Safety today at 815-641-6404. You may also reach out to one of our food safety professionals by simply filling out the easy-to-use form located on this page.